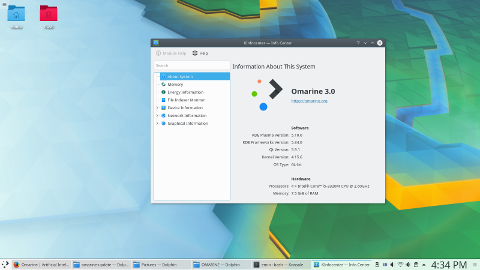 Rate this project KaOS is a rolling-release, desktop Linux distribution that features the latest version of the KDE desktop environment. The project's newest snapshot, KaOS 2018.10, features KDE Plasma 5.14.0 and offers improvements to Croeso, a welcome screen that helps customise the operating system when the user first logs in. 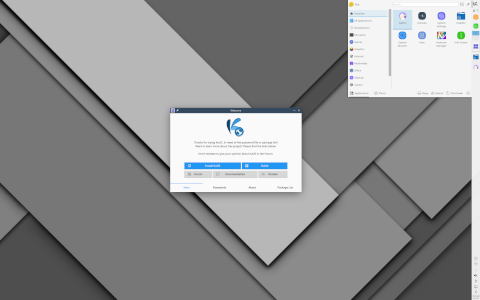 "Plasma 5.14.0 was announced just a few days ago and is already included in this ISO image. Highlights of this version include a new Display Configuration widget for screen management which is useful for presentations, the Audio Volume widget now has a built-in speaker test feature moved from Phonon settings, Plasma now warns on logout when other users are logged in, fixed non-centered task switchers on Wayland and the Kickoff application menu now switches tabs instantly on hover. A new glibc 2.27/GCC 7.3.1 based toolchain is among the many changes to the base of the system. Updates to Boost, ICU, x265, Protobuf, Net-SNMP, Qt required the rebuild of a large percentage of the KaOS repositories." The release announcement mentions that Qt 4 has been dropped from the KaOS repositories. Download (SHA256): KaOS-2018.10-x86_64.iso (1,942MB, signature, pkglist).